Addressing the public for the first time on the Today show, the volunteer deputy who killed Eric Harris in Tulsa, Okla., claimed that it was not his intention to kill the unarmed man and that he is in shock, USA Today reports. 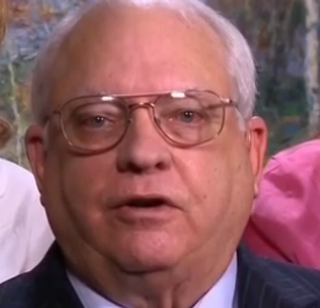 Robert Bates, 73, said Friday morning that he is not quite sure how he ended up mistaking his gun for his Taser when he fatally shot 44-year-old Harris during an April 2 sting. "I saw the light and I squeezed the trigger, and then realized. I dropped the gun," he explained. "This was not an intentional thing. I had no desire to ever take anyone's life." Bates, who has been charged with second-degree manslaughter in Harris' death, is currently out on $25,000 bail. Bates acknowledged that he is normally behind the scenes during sting operations, the site notes. "I've been involved in several hundreds of these [cases]. I do cleanup when they're done. I take notes. I take photographs. And that's my job," he said. Still, Bates refuted a report in the Tulsa World that sources indicated he was not properly trained, and that supervisors at the Tulsa County Sheriff's Office were told to falsify Bates' records and sign off on field-training hours that the volunteer deputy never completed. He claimed that he has written evidence that he is certified as a reserve deputy.